The schooner Elena 136ft. o’all shown racing against the schooner Elmina c1910. A season of close racing between the two. Elena was a close copy of the very successful Westward both built by the Herreshoff Company and won the Astor Cup for schooners 4 times. She was owned by Morton Plant. 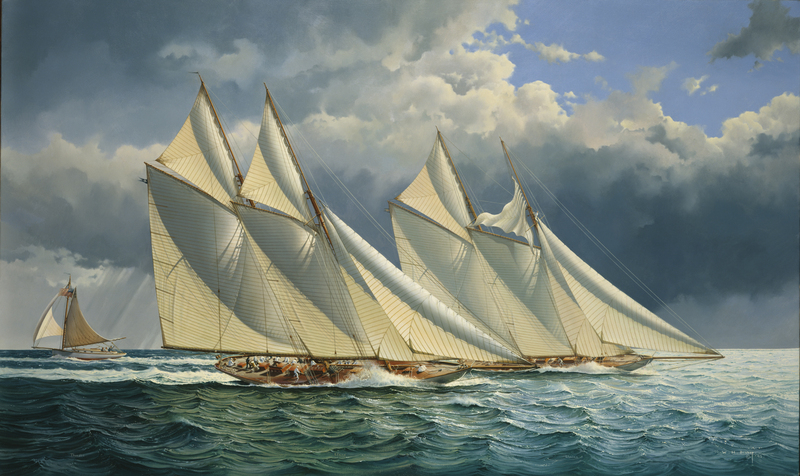 Elmina was designed by Cary Smith and built by George Lawley for Frederic F. Brewster who won the Astor Cup a record 7 times with two schooners of that name.